I love a dog that can throw her head back and just laaaaauuuuugh! 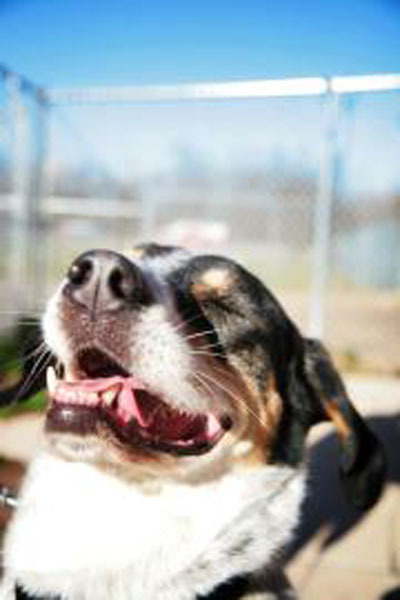 Lola is a 6-year old Hound mix, who weighs 63 pounds. Her family no longer had time for her, so she was brought to Lollypop Farm to find a family who’s able to shower her with the attention she deserves. Lola enjoys her walks and is good on a leash. She loves to be petted and thinks belly rubs are even better! Since she thrives on attention, Lola would prefer to be the only dog in the household. A home with children over the age of 12 is recommended. This sweetheart is another gem that’s eligible for the Seniors-for-Seniors program, so approved adopters age 60 and older can take her home free of charge. Come out and meet Lola if you’ve been looking for a wonderful hound dog to join your family! Momma, the cat from last week, is still waiting to be adopted. Oh how I wish I could take care of every dog that needs a home..